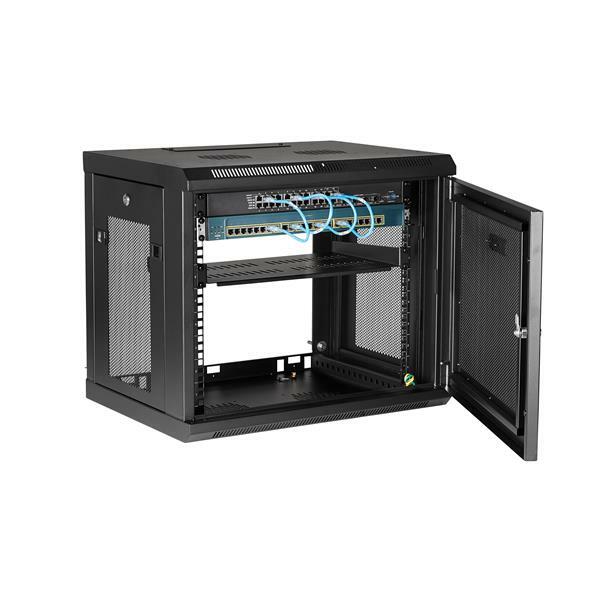 The 9U network cabinet features a removable and reversible front door and removable side panels, each with quick-release mechanisms, so you can easily access your equipment. Plus, each door and panel on this rack features an independent lock, ensuring your equipment is secure. 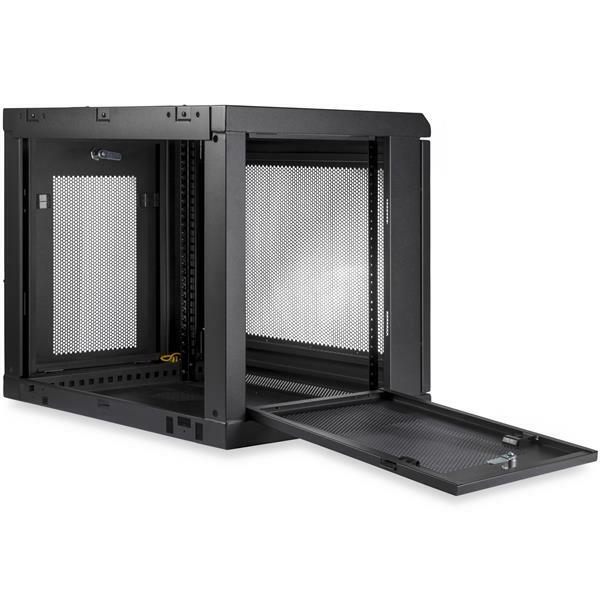 The wall-mount server rack also includes all of the cage nuts and mounting screws you’ll need to fill the rack with equipment, saving you the time, hassle and cost of sourcing mounting hardware. (4 stars) Solid Build, great airflow. Great size for small installs. Not as deep as I'd like, or option for vertical mounting items within (that are too deep for this rack)... Still, the rack mounts to the wall easily (though I'm using on the floor at present now). Love how smooth the hinge moves and the side panels come of easily (compared to my last small rack...) The room the rack is in does not have dedicated cooling or anything, so heat is an issue and items are spaced out. But now, I have packed the rack with a view short-body 1U servers, switches, and a couple shelves with small items placed within. Even with all of these consolidated in one space, the number of openings all around (versus solid sides and/or a glass door) means that a single exhaust fan is pulling out all the heat! I received this product in exchange for an unbiased review. 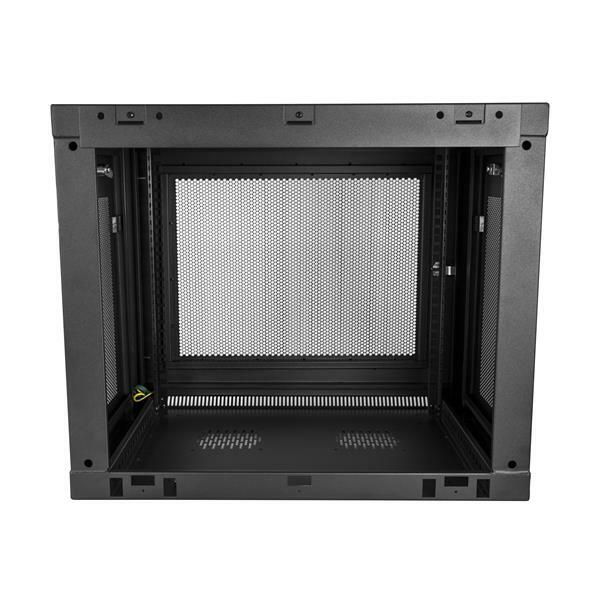 Great Wall Rack enclosure. Very well built. Great ventilation, and functional. Easy to install and work in. Very sturdy construction. Easy access from all sides and well ventilated. (5 stars) Kept my equipment safe in a warehouse! I had a project to install POE cameras connected to POE switches in a warehouse - the cameras would be mounted but I was not sure what I was going to do with the switches and other equipment I required until I came across the 9U wall-mount cabinet. The quality is fantastic as it is solid steel and it is ventilated which is what I require for my heat sensitive equipment. This will be the standard going forward. I received this product in exchange for an unbiased review. (5 stars) Wall-Mount rack that fits the bill. The 9u Wall-Mount Rack Enclosure was easy to setup, install my gear, and protect my investment in hardware. The build quality is excellent. 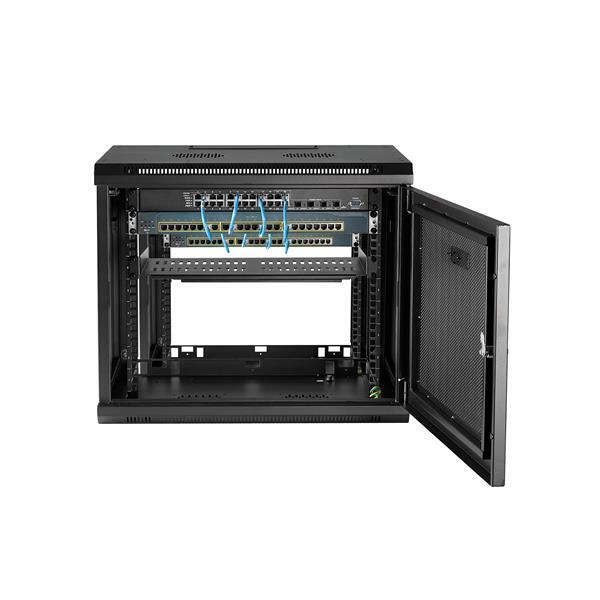 The locking front panel add security and cable ports adds cable management and clean lines to the Rack. I received this product in exchange for an unbiased review. 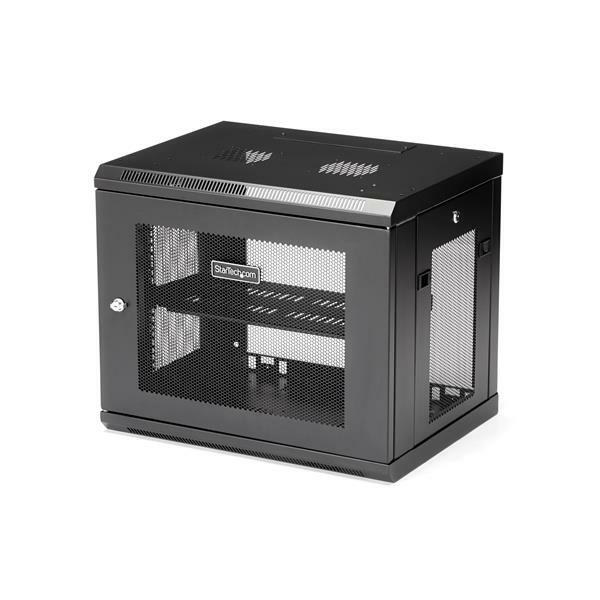 I was happy to receive this product because at the time I was currently having issues with one of my branch's going down due to suspected overheating of the devices in their old cabinet. 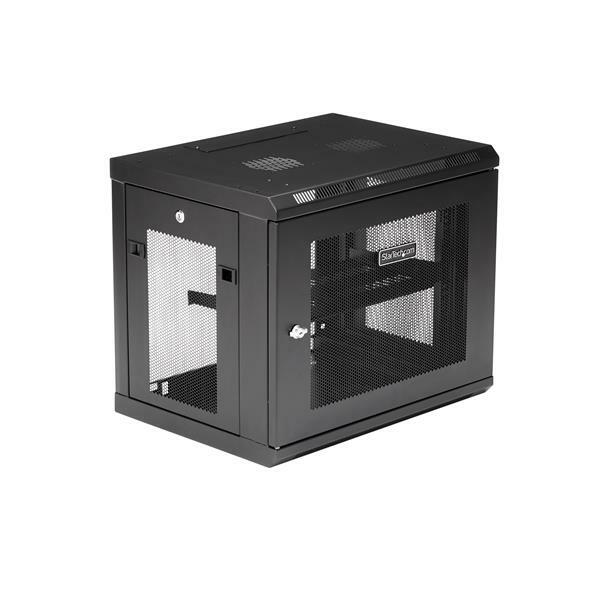 This cabinet is quality built, it is vented open air and with spots to mount computer case fans. You can easily access the contents through the removable sides or from the front. Everything locks up secure both on the sides and front. We'll definitely be buying these for our other branches in the future. I received this product in exchange for an unbiased review.